Stunning handcrafted hardwood cribbage board will assure that the game will never be the same. 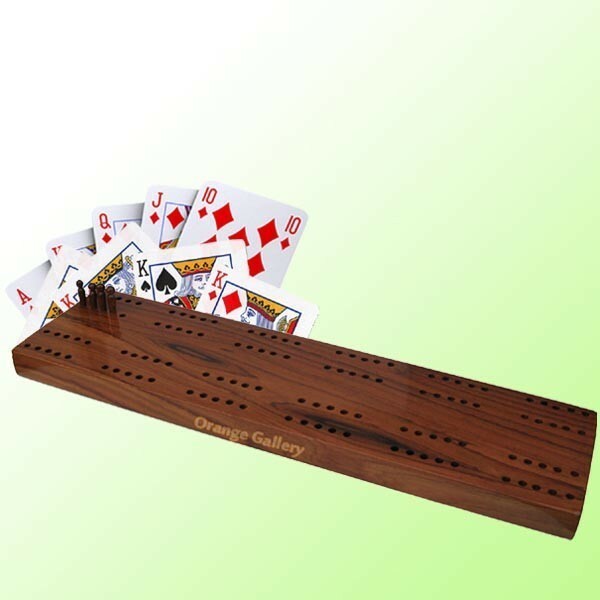 Board Dimensions: 11-1/4" × 3" × 5/8"
Keep score in style with pegs and boards made of lovely Belizean hardwoods, such as purple heart, granadillo, hobillo, rosewood, manchiche (“Mayan walnut”), brown rosewood, guanacaste, and ziricote. The polyurethane coating seals the wood with shine and celebrates the gorgeous natural colors of the wood.